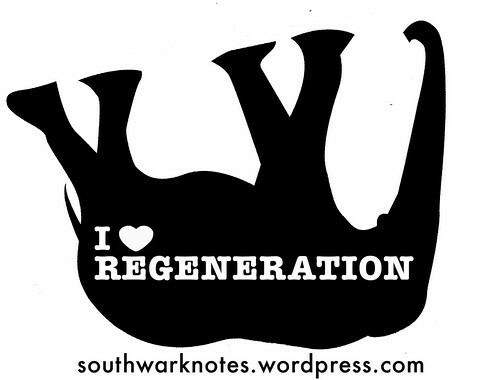 Blackfriars Rd | Southwark Notes - whose regeneration? BLACKFRIARS RD: B.A.R.D GET BUSY! Posted on December 23, 2012 | Comments Off on BLACKFRIARS RD: B.A.R.D GET BUSY! 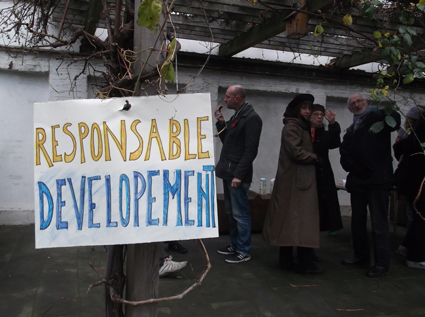 It was the ‘extraordinary arrogance‘ of Linden Homes representatives who came to the Blackfriars Rd community that was described as ‘the straw that broke the camels back‘ by a BARD member recently. Linden Homes is proposing two scheme options for the site of St George’s Mansions, the shops below and the next door pub Imbibe. 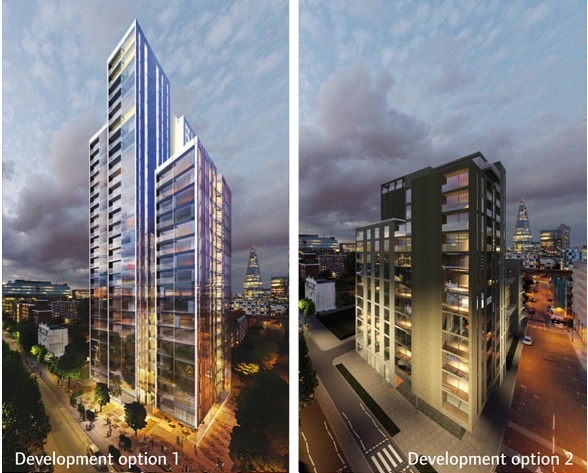 Scheme One, their ‘preferred‘ option is a massive 27-ish storey tower block. Option Two, i.e the dead horse option, is a less tall tower (15 floors) with less public realm stuff (some cleaned pavements, some trees etc). The whole scheme has been wonderfully named Blackfriars Rd Central. Ho ho! 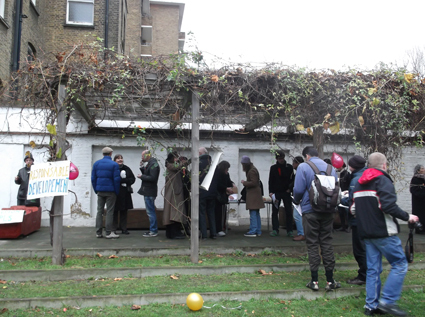 BARD, which is made up of a number of local folks, tenants groups and amenity groups called a small community demonstration on December 2nd 2012 and about 50 people came along to chat, listen to some good words and thoughts, hear a song and share cakes and drinks. 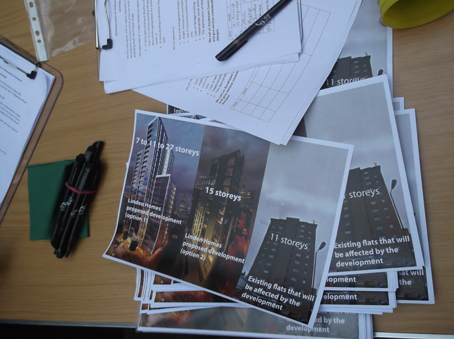 It was a great hour well spent with some rousing notions and intentions to not let developers come to any area and start dictating what goes where with no consideration for long term residents nor any sense of what the community is, does and why. “What we are saying in the this demonstration today is that we have had enough. That local people have had enough…the only thing that will stop them is us. There is nothing else, there is us. 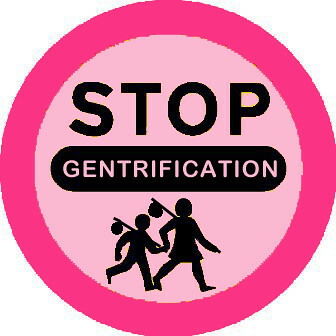 We are what will stop them……Local people don’t earn enough to live here anymore and what they will do is drive us all out because this land is worth billions. We either have to get together, to work hard, we have to act in solidarity with each others struggles, not have a struggle against this and a struggle against that but a struggle to make this a community that is meaningful, that people want to live in‘. 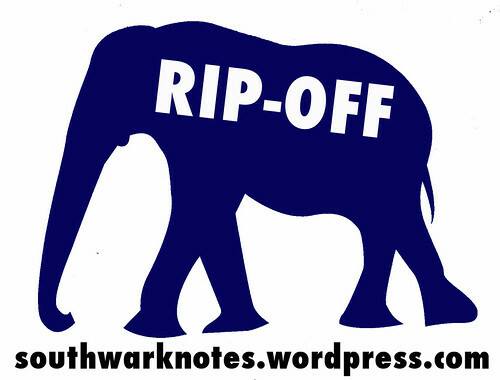 At Southwark Notes, we have been clear for a long time now that the regeneration of The Elephant area cannot be separated out from any development of Bankside, Aylesbury Estate, Bermondsey etc. 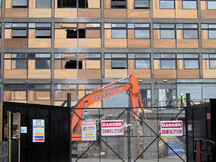 Each place has a knock on effect on the other site especially if certain areas are being earmarked out for zero social housing and maximum luxury apartments. That’s just not right. We welcome BARD and it’s fantastic starting demo and it’s intuition that we are all one fight against crazy land speculation and overpriced developments that offers little or nothing to existing communities. 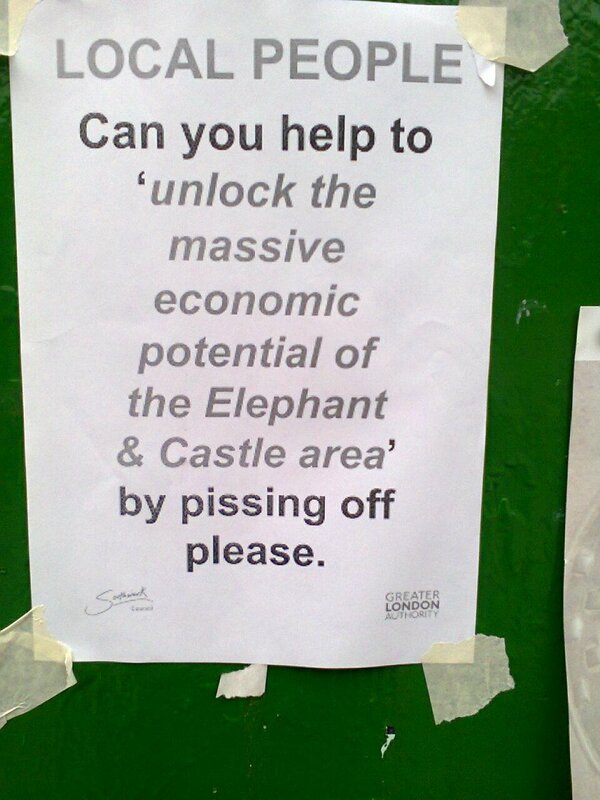 At the Elephant we have a lot of experience of the regeneration agenda and its accompanying spin and hype and empty promises. We hope we can add some insights into their already insightful campaign. Best of luck to BARD. 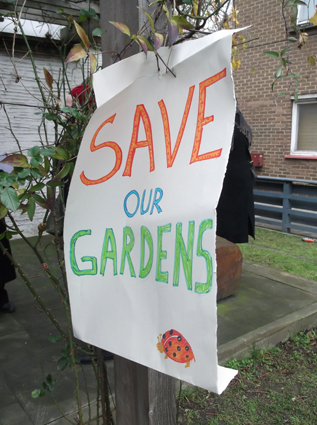 The next meeting of BARD is on Thursday, 10 January 2013 at 7 pm at Nelson Square Gardens Community Association Hall, 60a Rowland Hill House, Union Street, SE1. (Ground Floor Rowland Hill House, next to the Lord Nelson Pub). All welcome! PIE IN THE SKY vs BLUE SKIES: IT’S ALL THE SAME! 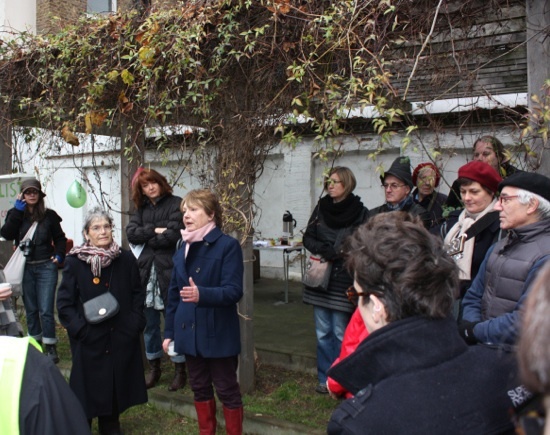 An excellent piece was subsequently posted on the In SE1 News blog which covered both the demo and reports that the Council had been having ‘secret meetings‘ with Blackfriars developers (of which there are numerous – see our handy map below) who have constituted themselves as the Blackfriars Road Landowners’ Forum. Cllr Peter John described the meetings purely as ‘blue sky thinking‘. We leave you to figure the substance of such blue sky thinking (creative ideas that are not limited by current thinking or beliefs) in regard to local people and shops. 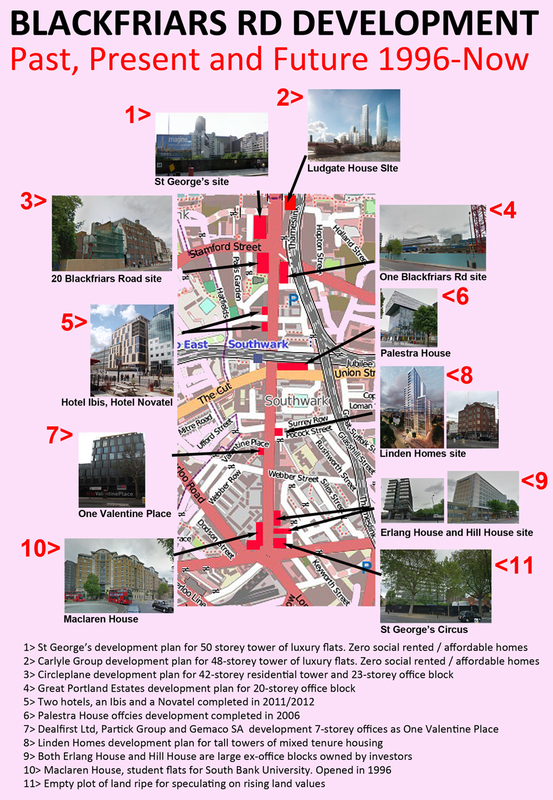 Developments in the Blackfriars Rd and Southwark St area have already been subject to much criticism whereby large developers are let off both the London Plan and Southwark Council policy of factoring in affordable housing to create mixed tenure schemes. Instead big developments such as NeoBankside, One Blackfriars Rd and the forthcoming Kings’ Reach tower have been able to buy their way out of this with the promise from the Council that the $$$ will be used to build affordable housing somewhere else in the borough i.e not by the Thames. 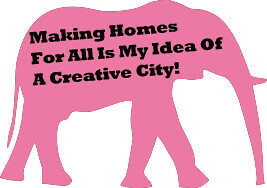 Questionable is the notion that a) the riverside should be given over to the creation of a rich person’s ghetto (contrary to any notion of building mixed communities, b) that existing residents shops and services will not be able to afford any increase in rent from the upscaling of the area. EGG & CHIPS FOR ALL!! 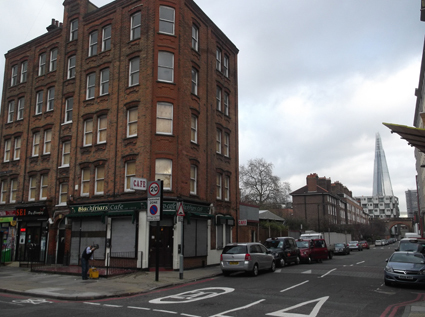 The Linden Homes Blackfriard Rd development has said that the working mens’ caff and the dry cleaners that it will demolish will have a place in the new development. We cynics at Southwark Notes wonder whereabouts a working men’s caff will fit into a 27 storey tower of overpriced luxurious apartments. Maybe it can occupy a place at the top in a special Egg and Chips Public Terrace! 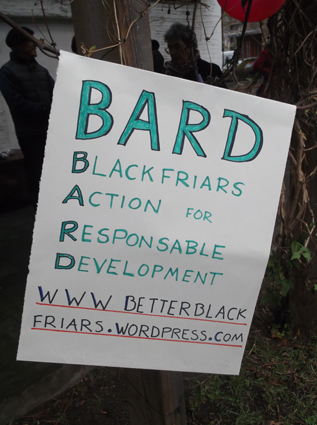 Comments Off on BLACKFRIARS RD: B.A.R.D GET BUSY!